The South West Clinical Networks brins people together to advise on what good care services look like which will improve health care outcomes for our population now and for future generations. The South West Clinical Networks work in partnership with commissioners supporting their decision making and strategic planning, by working across the boundaries of commissioner, provider and voluntary organisations as a vehicle for improvement for patients, carers and the public. 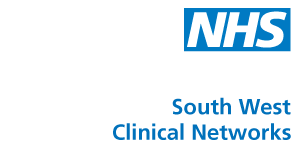 Find out more about the South West Clinical Networks at www.swscn.org.uk and follow them on Twitter @SWSCN. These ERGs will lead on the specific work streams and assist the Dementia Network in the delivery of outputs as detailed below. Find out more about the South West SCN at www.swscn.org.uk and follow them on Twitter @SWSCN.